Furniture for sale ads in Sunshine Coast. Thank you for visiting our free advertising website Furniture for sale, Sunshine Coast section. We provide high response free classifieds and free advertisement. Use our online free Furniture for sale classifieds placement system to find, list, offer Furniture for sale online! We are the best at what we do. Im sure everyone says that. But for us it keep getting proven again and again. We preform a better service in a simpler way at a better price point. Exactly the reason why in these hard time our business is growing when most seem to be downsizing http://www.dannysdesks. 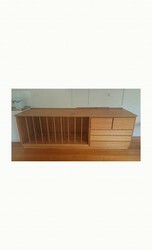 2540 x 780 x 850H 3 drawers 840 x 620 clear, 2 drawers 380 x 560 very nice piece of furniture in very good condition. All solid timber except the 2 small drawers are chipboard inside. Willing to accept offers and pick up only please. It can be broken up into 3 or 4 pieces. This 5 piece French Provincial "Elm" dining setting is in perfect condition, as new. Paid $950 from Hervey Normal in April 2014. Circumference is 1 metre, height 760mm. Can be picked from Noosaville or arrange own removalist..
Bar stools with gas struts, all in good working order. Chocolate Brown leather and chrome look.Modern and stylish.$140 lot Ono.cost $320 good condition. 0431402466. Restored wardrobe has lockable hanging space and three drawers.Real timber, not plywood or veneer.Some minor damage as befits its age. Doesn't detract, just adds character. Approx 170 cm high, 105 cm wide and 45 cm deep. Original fittings except for handles. 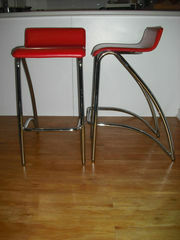 Pick up Yaroomba..
For sale 2 red bar stools. Good condition pick up Beerwah - Cash on pickup. Modern white high gloss table with silver legs. 730Hx2000Wx900D 6 modern chairs with black PU cover and silver frame 880Hx545Wx480D Pick up Beerwah - Cash on pick up Please check out my other ads with matching furniture.. Selling stainless frigde single door and freezer only 6 months old $brought for $1200 Sell For $750 ono..
3 piece velvet covered plus matching arm chair. removable cushions. Reasonable condition.. 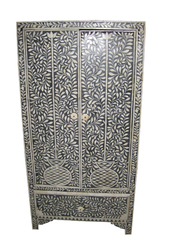 Antique India Furniture Bone Inlay Armoire Cabinet Chest 54"
Very well detailed and beautifully done, also at a great value. Bringing you a beautiful piece of art that show India's rich culture heritage.unique craved leaf and floral motifs and the color of Gujrat create an exceptional cabinet. DIMENSIONS........54" height x 27"width x 15" depth. for sale in Sunshine Coast Queen Size Timber Bed & Mattress VGC $120. Queen Size Timber Bed and mattress included. In VGC $120 Ph 0420811452. (Tan european leather lounge 3 seater + 2 single chairs, very well made, $350). (Pine dining table + 3 chairs, pine coffee table, pine hutch & cane hutch, black desk on casters, black TV unit with glass doors $150.00 the lot). (King Size solid timber, mahongany stained, four poster bed head and bed end $350). pine corner tv/ video unit country gold colour. Glass and pine doors at top and pine doors at the bottom. good condition will fit smaller television. selling samsung fridge on sunshine coast, 210 litre, works well, ice cube tray in freezer, plastic shelves cracked down the centre, white. Australia free ads for Furniture for sale, Sunshine Coast, Furniture for sale free ads Sunshine Coast, Furniture for sale for sale Sunshine Coast, Furniture for sale to buy in Sunshine Coast. Find on this page free classifieds for Furniture for sale in Sunshine Coast. This listing includes classifieds for sale and to buy in Sunshine Coast. FREEADSAustralia Sunshine Coast offers you a platform to post free advertisements or classifieds for Furniture for sale in Sunshine Coast. FREEADSAustralia helps you search, find buy, sell, rent or hire in various categories like apartments, goods for sale, local services, cars , jobs and many more in Sunshine Coast. If you posted an advertisement in category Furniture for sale of FREEADSAustralia Sunshine Coast before please use Edit my ads button to change or cancel your ad. Furniture for sale Sunshine Coast ads Sunshine Coast, Furniture for sale classifieds Sunshine Coast, Furniture for sale free ads Sunshine Coast, ads for sale Sunshine Coast, ads to buy Sunshine Coast, FREEADSAustralia. Find here ads for sale, to buy and rent in Sunshine Coast. Goods for sale in Sunshine Coast, vehicles for sale in Sunshine Coast, Sunshine Coast real estate for sale, Sunshine Coast property for sale, property for rent in Sunshine Coast, business ads in Sunshine Coast, Sunshine Coast business classifieds, services in Sunshine Coast, Sunshine Coast services ads, jobs in Sunshine Coast, pets for sale in Sunshine Coast, Sunshine Coast dating, Sunshine Coast cars for sale.